MET Costume Gala 2010 Celebrity Hair Styles. May 5, 2010 witnessed the MET Costume Institute Gala hosted by the Metropolitan Museum of Art from New York City. As in the earlier years celebrities managed to exceed their Oscar and spectacular red carpet look. The Gala honored the best dressed ladies and gents of Hollywood and the stage of music who paved the way for the latest and upcoming hair style trends. Take a glimpse at the most dazzling socialites and their alluring classic and modern looks on this high brow event. As the day of the MET Costume Institute Gala Benefit, that took place on May 5,2010 at the beloved and acclaimed Metropolitan Museum of Art from New York City arrived celebrities from all over the world prepared with their unique and exquisite appearance to flaunt their personality as well as fondness for beautiful designer attires and fashion. Ladies devoted supernatural effort to rise to the ceremonial aura of the event and still preserve their natural lure and character traits. Style creations rivaled the dazzle of hair styles offering endless subject for tabloids and fashion magazines to discuss of as well as paparazzi to immortalize the best entrees. The Costume Institute Gala succeeds in attracting some of the style icon prominent personalities who not only show off their worth-admiring silhouette with some of the voguish collection pieces but will also launch a real craze in the matter of formal hair styles. However it seems that this year was even more generous with the fans as the repertoire covers a larger selection of hair styles from the relaxed and texturized ones to the complex and architectural looks. The celebrity hair styles as in the case of all red carpet events can serve as a load of inspiration for those who are eager to sport memorable looks for a special event. This year celebrities managed to be more indulgent with the use of hair accessories and substituted them instead with natural looks. Loose waves managed to serve as the best option to complement the sophisticated allure of designer dresses from the classic tailoring to the more eye-catching designs. Regardless of the length of the strands the relaxed and slightly Boho appearance is best emphasized with the must have accessories of the season, waves. The ceremonial event encouraged ladies to accentuate the spotless texture and volume of their hair style. The long locks of Nicole Richie as well as the medium length tresses of Emma Watson would make a dashing statement on the red carpet. Dressing down the look with the summer wavy hairdo was the main tendency that dominated the preparation of these Hollywood sweethearts for the great event. Additionally prominent participants of the Gala as Claire Danes, as well as Bar Refaeli also showed their fondness for the stylish waves. Celebrities also banished the monotony of classic buns with the endless variations of the traditional design. Instead of limiting themselves to the polished and neatly tied locks they decided to let the flyaway strands loose and messy for a 'femme fatale' look. Surprisingly both admirers of the Grace Kelly-style looks as well as the ones who fused a more relaxed and non-conformists tint into their appearance shared tremendous success. Dresses and attires matched the versatility of red carpet bun hair styles adopting some of the most sought-after trends from the runway. Messy buns due to their loose texture, cute Ballerina ones for their feminine and spectacular charisma were lined up in a breathtaking parade on the MET Costume Institute Gala. Some of the most worth-admiring representatives of the messy and also polished bun hair styles this year are: Kirsten Dunst with her sophisticated ballerina bun, Sienna Miller with a loose half updo, as well as Jennifer Lopez with an undone bun. Vintage and Retro hair styles also found their prominent position in the most popular hair style list as the looks that best complemented the alluring long and classic dresses. Stars who opted for a similar hair styling technique enhanced the beauty of their medium-length as well as long strands with voluminous and refined curls. The smooth strands on the crown and the cascading looser or tighter curls would add the perfect glam to the voguish attire. Admirers of the Vintage glam, as Kate Bosworth, Jessica Alba and also Kristen Stewart all managed to pair their fabulous charisma with the marvelous beguiling glam of the night. Iman also strengthened the reputation and revival of the Vintage hair styling tendencies with her flawless and admirable Vintage curls hair styles. Last but not least it is also important to mention the popularity of the French twist and the chignon as the perfect option for those who were eager to accentuate the beauty of their shoulder-length or longer strands. Creating the effect of the timeless elegance and feminine mirage is best done with the help of similar simple and easy-to-create still prominent hairdos. Twisting the strands and enriching it with additional details or accessories proved to be one of the favorite trick of celebrities to crown the event. 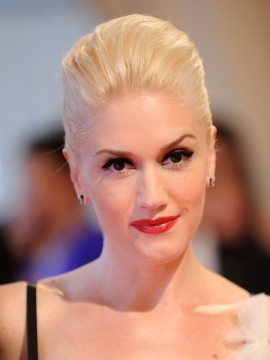 Gwen Stefani and Diane Kruger managed to steal the show with their dazzling appearance.